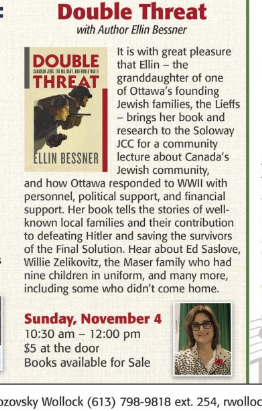 It is with great pleasure that Ellin — the granddaughter of one of Ottawa’s founding Jewish families, the Lieffs — brings her book and research to the Soloway Jewish Community Centre for a community lecture about how Canada’s Jewish community, and especially Ottawa responded to WWII with personnel, political support, and financial support, too. “Double Threat” tells the stories of well-known Ottawa families and their contribution to defeating Hitler and saving the survivors of the Final Solution. 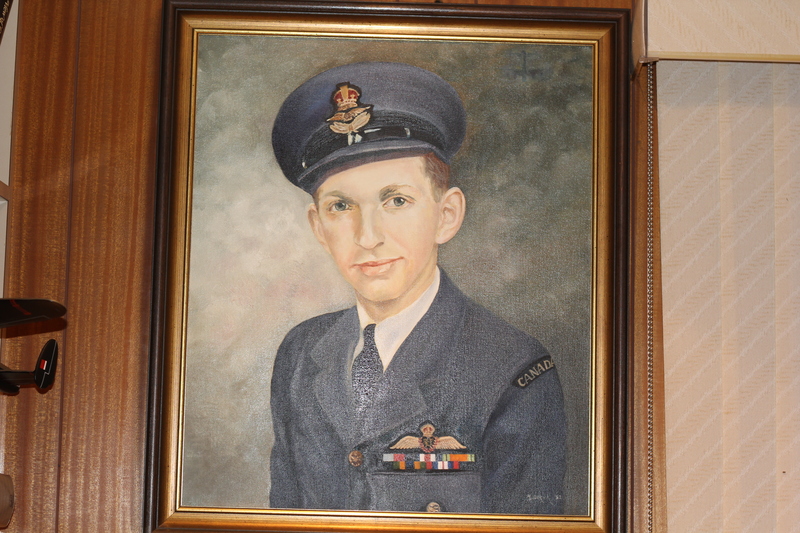 You will hear about Ed Saslove, Willie Zelikovitz, the Maser family who had nine children in uniform, and so many more, including some who didn’t come home. With special guests Alex Polowin and Martin Saslove.